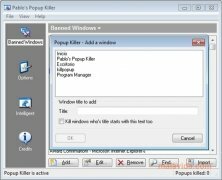 Popup Killer is a simple and lightweight application that avoids that popup windows appear while you are browsing. These will appear automatically on certain websites without the user asking for them, and they normally contain publicity messages. 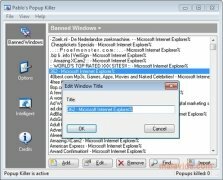 This way of opening windows can actually end up being very bothersome on specific websites. 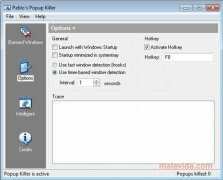 Popup Killer avoids that the unwanted popup windows appear. 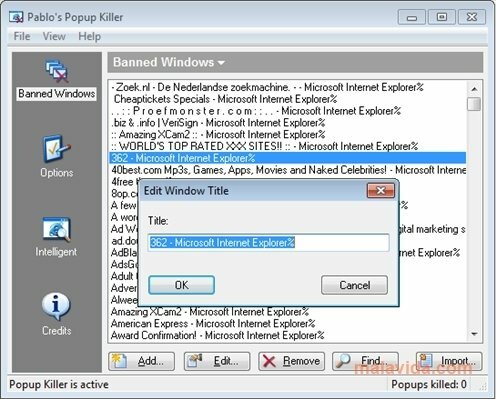 This application has a blacklist with the addresses of pages that usually use popup windows. 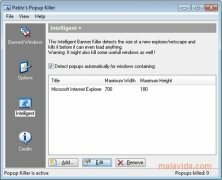 If you are browsing on any of these websites, Popup Killer detects the popup windows and blocks them. What's more, it allows you to add as many websites as you want to the list, and even edit those that are included by default. 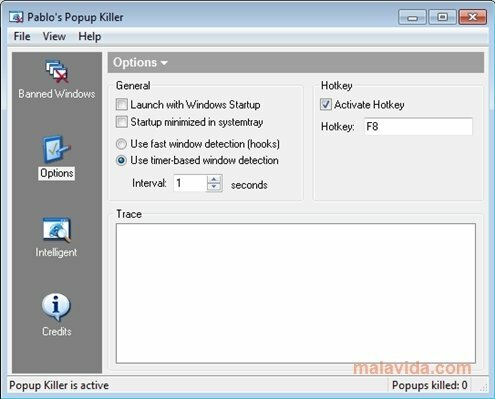 With Popup Killer you will also be able to establish a shortcut that will automatically open the blacklist window. 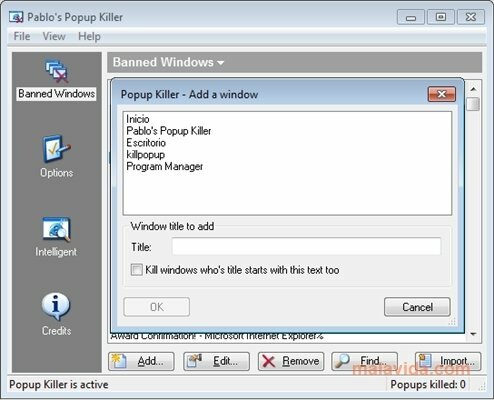 Popup Killer will check if the websites that you visit match any of those that are on the blacklist, to be able to close the popup windows. It can be configured so that this check is continuous or carried out during a specific period of time. 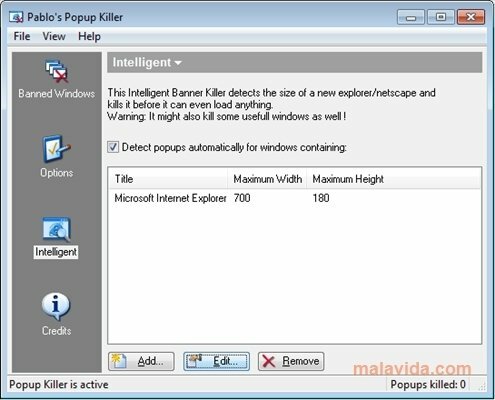 Don't let the popup windows bother you will you browse, and try Popup Killer.